'3 BEAUFORT' is a comfortable and spaceous villa for 10 people. The villa was recently entirely renovated. The entire renovation was made to a high quality standard, with one goal: ensuring we can offer you a comfortable and enjoyable stay with attention for young and old. Pets are not allowed and the villa is entirely non-smoking. 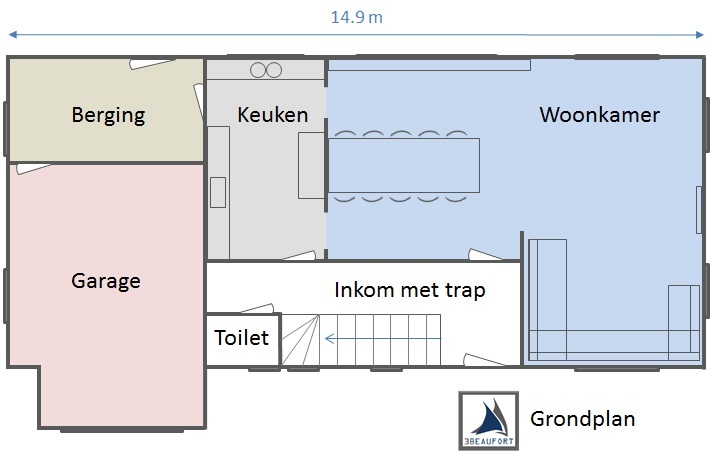 The groundfloor consists of an entrance with staircase, a living room with large dining table and sitting area, a kitchen, storage, garage and lavoratories. The kitchen is fully equiped, with induction cooker, dishwasher, oven, microwave and fridge. Whether you want to prepare a 3 course meal or a small snack, everything is available. The living room table easily seats 10-12 people. There is also a comfortable sitting area with cable TV, wireless internet connection, radio and DVD. The garage is ideal to leave your bikes or car. 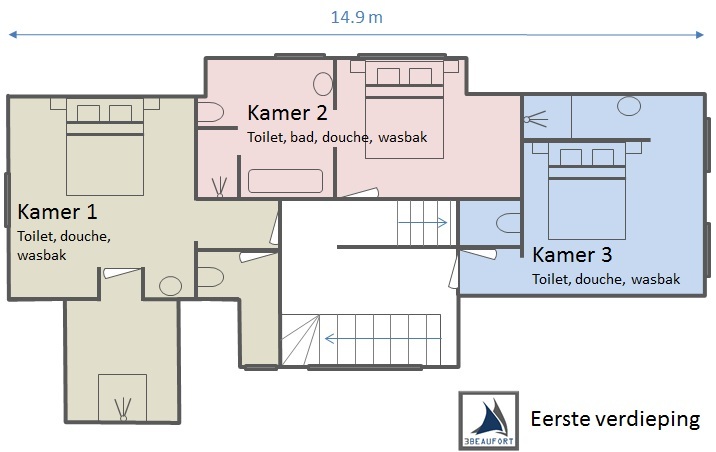 The first floor hosts 3 double bedrooms with on-suite bathrooms. Two of the bathrooms have toilet, sink and walk-in shower. The third one adds a bath onto that. 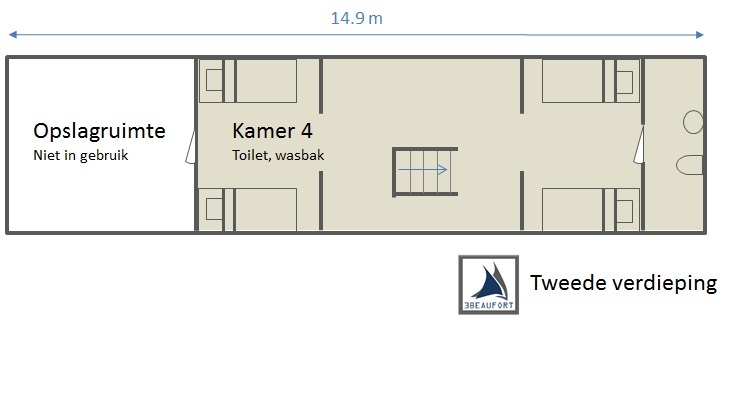 The second floor also has its own Bathroom with only toilet and sink. '3 BEAUFORT' has a private garden of over 600 sqm. The garden has several sunterraces and an excellent bowls course. The ideal place to enjoy and relax. Here as well, children have been thought off. They have their own 70 sqm playground with tower, swing and toboggan. The whole area is fitted with rubber floortiles to ensure many safe hours.